Stranger things have happened on live television before but the most recent one, captured by Citizen TV reporters, is simply mindboggling. It shows the moment a robbery suspect rammed his head into a wall during a live transmission from Majengo Slums in Nyeri. As the story goes, the man is one of four suspects who were arrested for breaking into a local bar and stealing booze, television sets and CCTV cameras on Wednesday night. Nyeri Central OCPD Paul Kuria said they used sniffer dogs to trace the burglars to their hideout in the slums, where they were found binging on stolen alcohol. Most of the stolen items were also recovered. 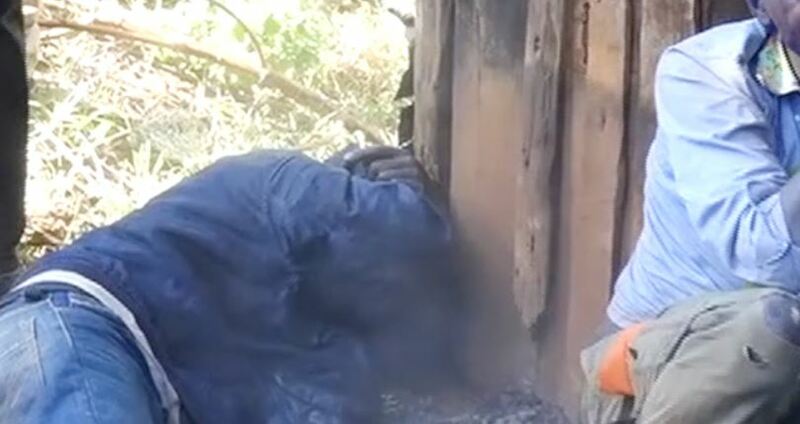 Citizen Television reporter in Nyeri, Martin Munene, was at the scene to cover the arrest when one of the male suspects was captured inexplicably headbutting a wooden wall. Watch the bizarre moment below.